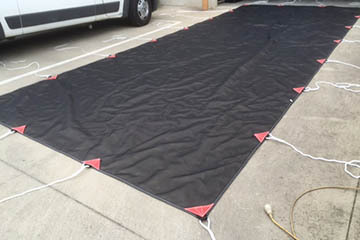 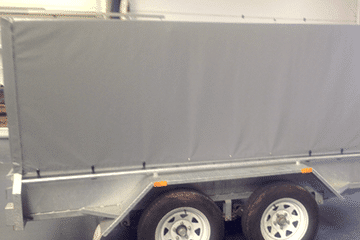 Custom made Truck Tarps by Selbys Canvas and Shade, made to order with ropes and shortners to fit your truck. 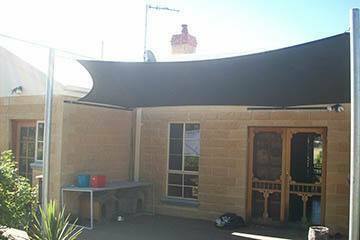 A twin Shade Sail canopy style made to order to protect you from the harsh sun and custom made by Selbys Canvas and Shade. 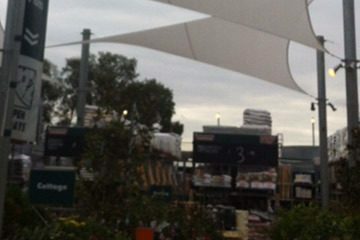 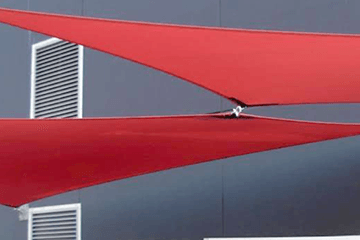 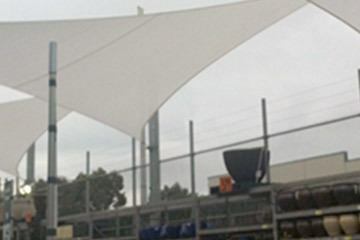 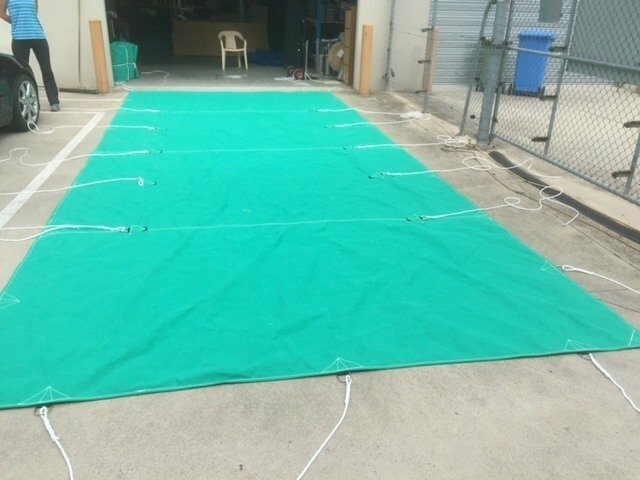 Shade Sails custom made to specification for Bunnings Store in Cranbourne offering shade to their outdoor garden centre. 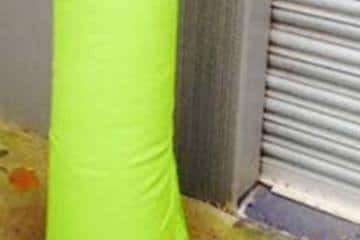 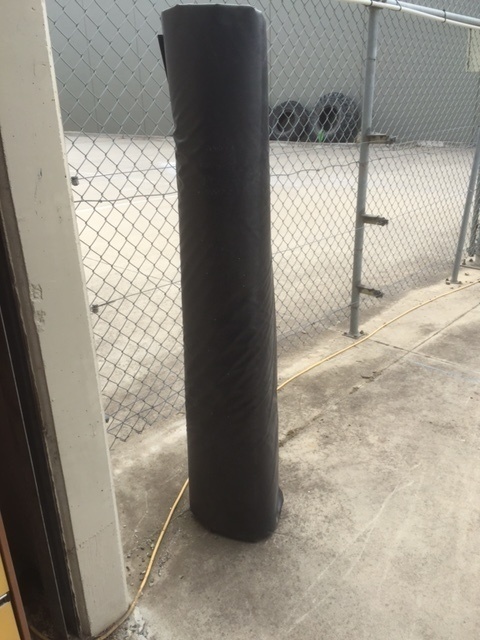 Post pads are designed to protect our children, sports people from injuring themselves from accidently colliding into poles or support structures. 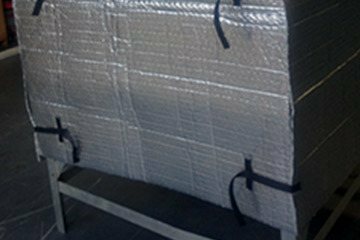 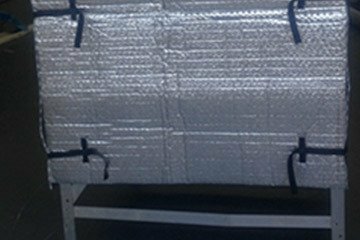 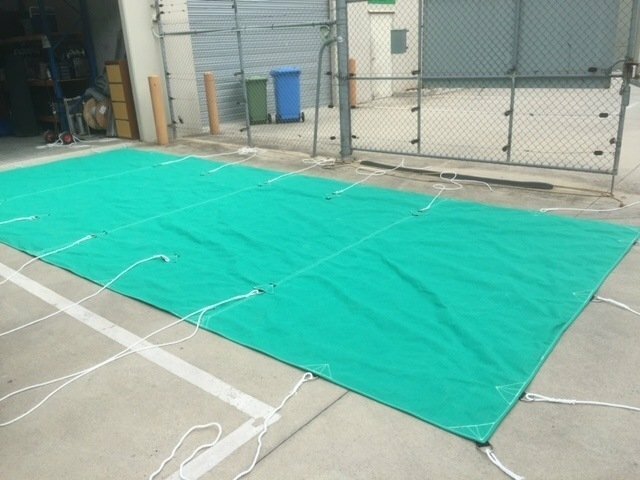 Insulated Pallet Cover keep it nice and cool, it is custom made to fit any size pallet by Selbys Canvas and Shade. 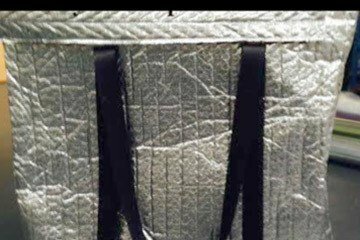 Insulated carry bags keep it nice and cool, it is custom made to order by Selbys Canvas and Shade. 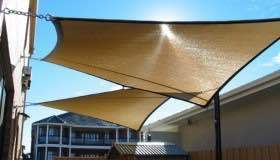 Eating and drinking with friends and family out on the deck is the all Australian Lifestyle- with the peace of mind that there is sun protection from a custom made Shade Sail by Selbys Canvas and Shade. 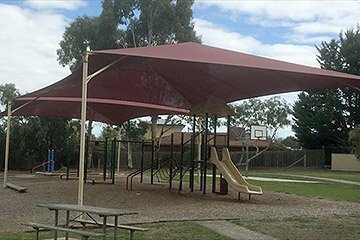 Kids enjoying the beautiful Australian summer playing on their outdoor back yard play equipment protected from the harsh sun with a custom made Shade sail from Selbys Canvas and Shade. 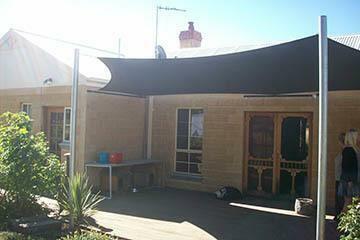 Pergola style Shade Sails design colour matched to compliment the home, style and sun protection. 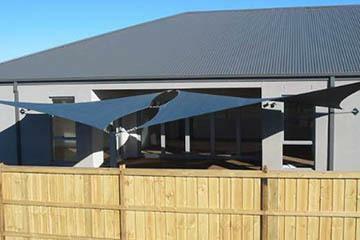 Canopy style Shade Sails design colour matched to compliment the home, style and sun protection. 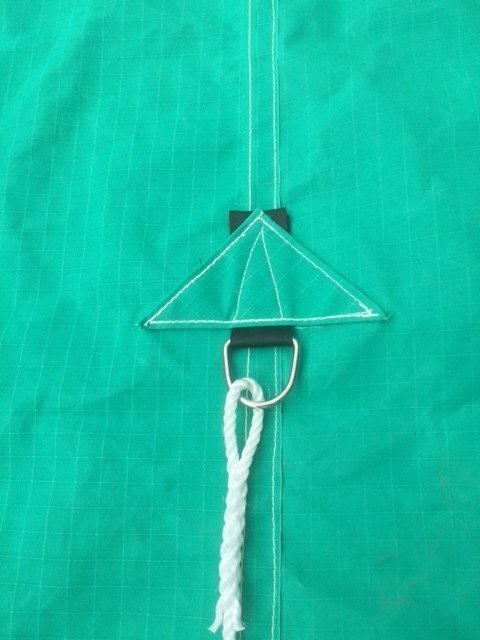 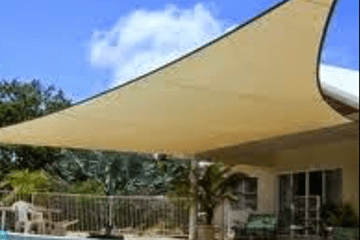 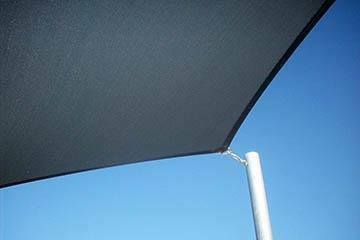 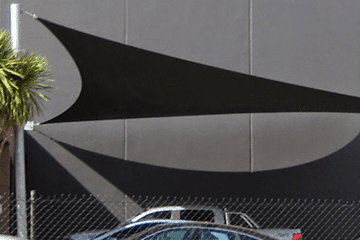 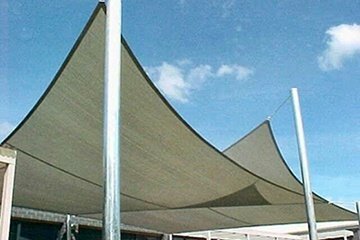 A properly tensioned shade sail is a must to maximize UV protection, it is important for a shade sail or structure to have a permanent shape and design to allow for consistent protection from the elements. 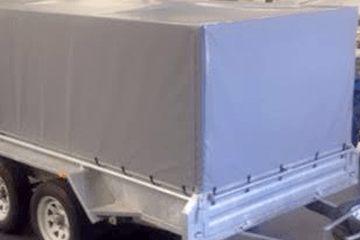 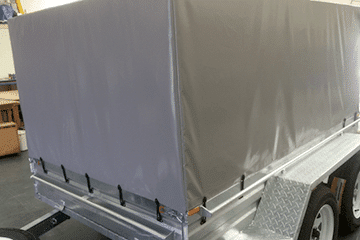 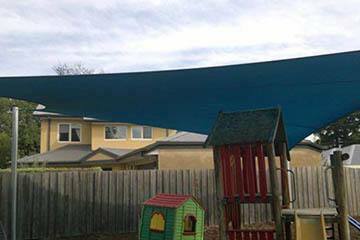 We are Canvas Fabrication Manufacturer based in Narre Warren with eighteen years’ experience in the industry. 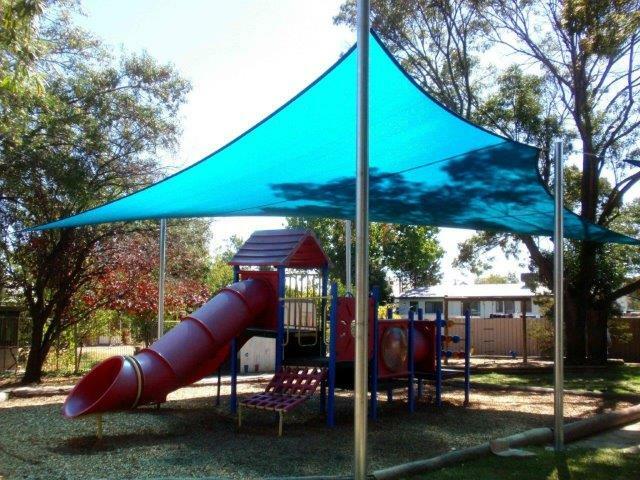 The main thrust of our business is to manufacture quality finished product for the trade. 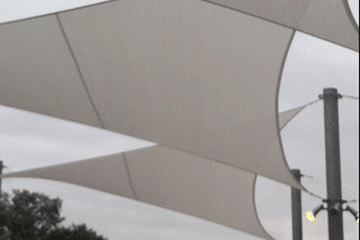 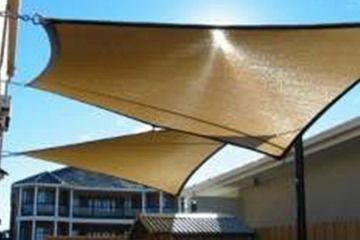 Outdoor patio Shade Sail offering sun protection and design style. 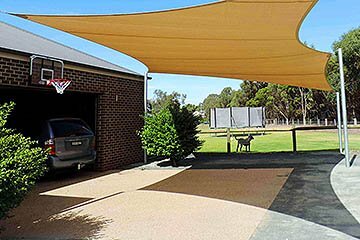 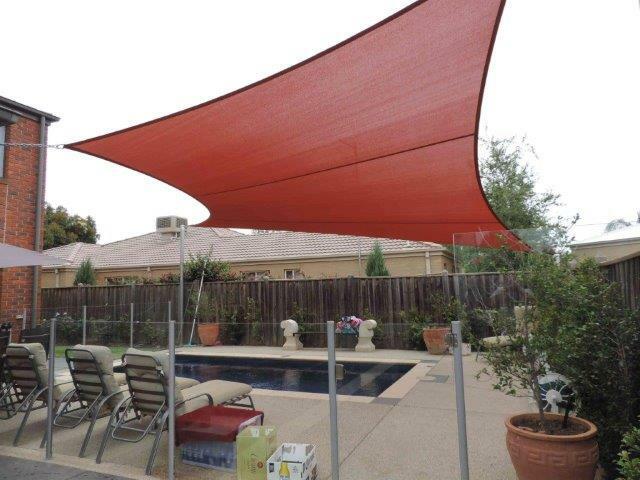 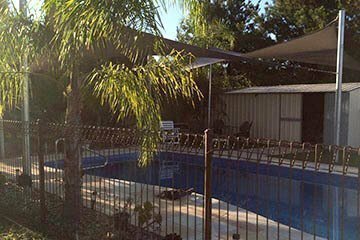 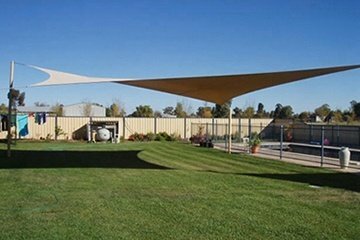 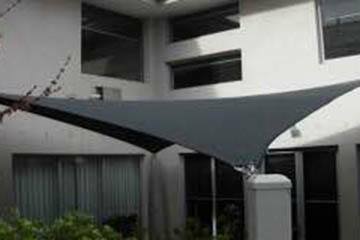 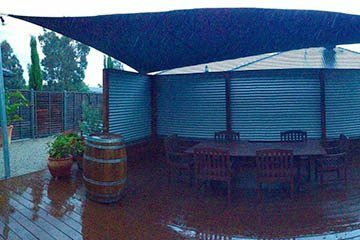 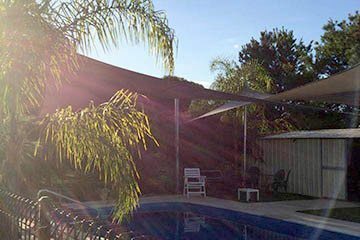 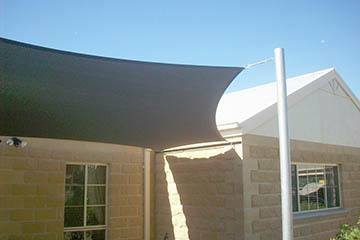 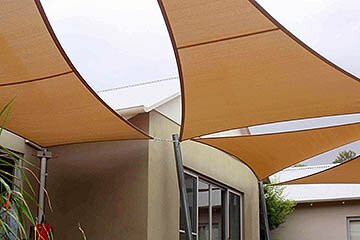 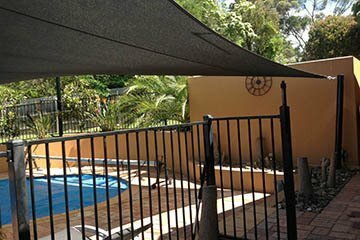 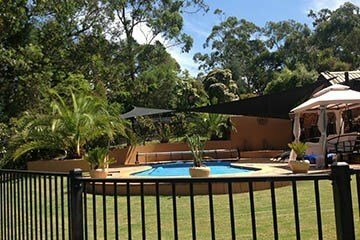 A beautifully tensioned Shade Sail offering maximum sun protection in a big back yard. 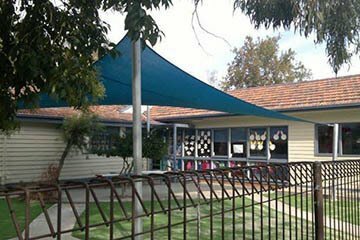 Commercial Shade Sail in a primary school outside table seating eating area offering the protection and a design look to enhance the building ascetics. 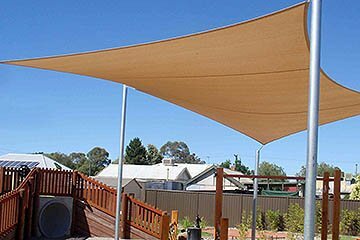 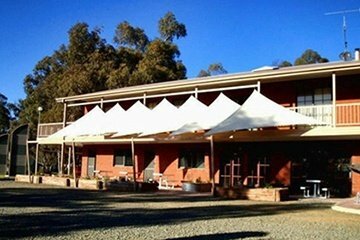 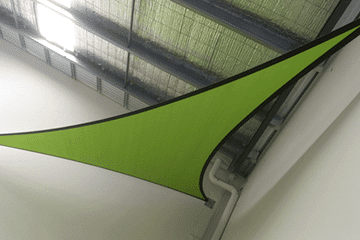 Shade sail designed with the highs and lows to be ascetically pleasing and offering maximum sun protection. 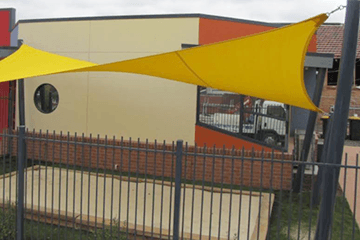 Commercial Shade Sail custom made in yellow to offer maximum UV protection for a children’s sand-pit area and colour coordination with the multi-colour building. 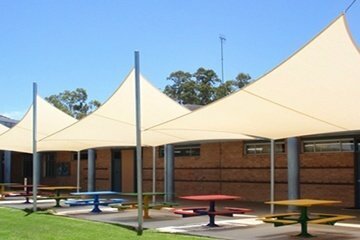 Custom made Commercial Shade Sail for outside area offering maximum sun protection. 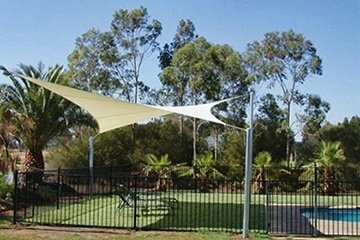 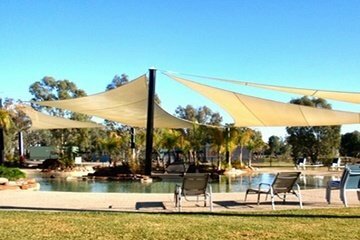 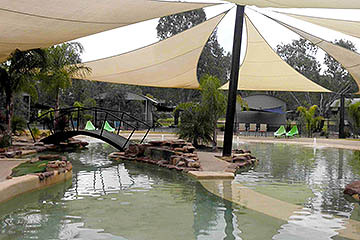 Multiple shades sails design and installed to create this resort style environment offering areas of sun protection around the cool inviting water. 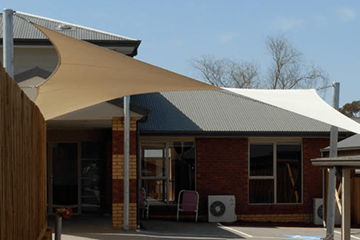 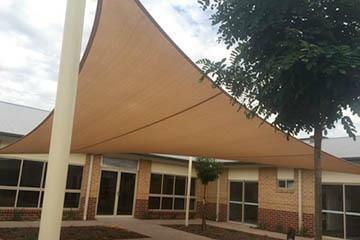 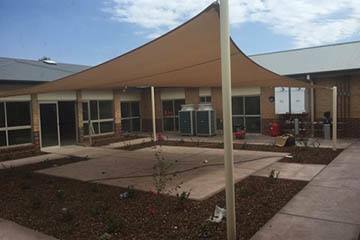 Commercial Shade Sails in a primary school outside table seating eating area offering the protection and a design look to enhance the building ascetics. 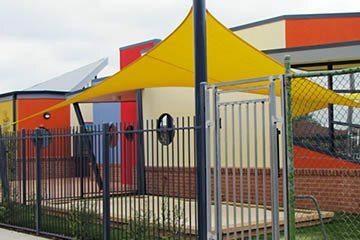 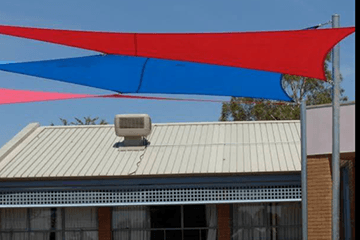 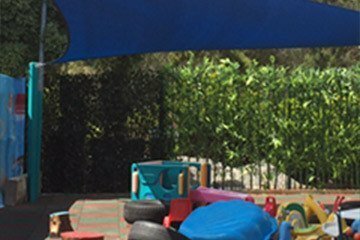 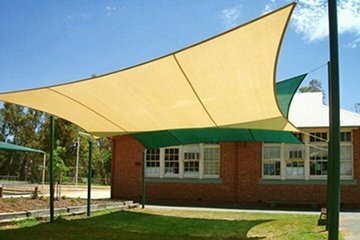 Commercial Shade Sail in a primary school play area, incorporating two different colours to match the outside surroundings. 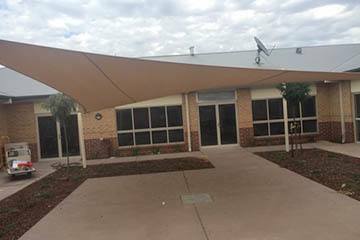 Multiple shades sails designed and installed to create a fresh clean white look offering sun protection in a resort style complex. 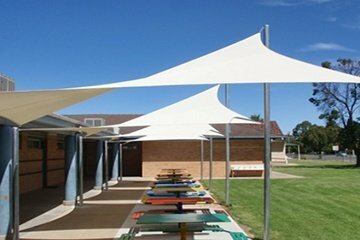 Custom made Commercial Shade Sail for outside area offering maximum sun protection for kids to play under. 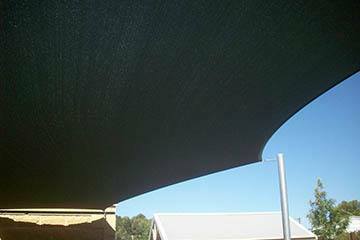 Custom Made Commercial Shade Sail with a black webbing contrast, we have access to most colours and for those who would like something different we can design and manufacture to suit.